Logline: Two documentaries that feature the eccentric mother and daughter relatives of former US First Lady Jackie Onassis. 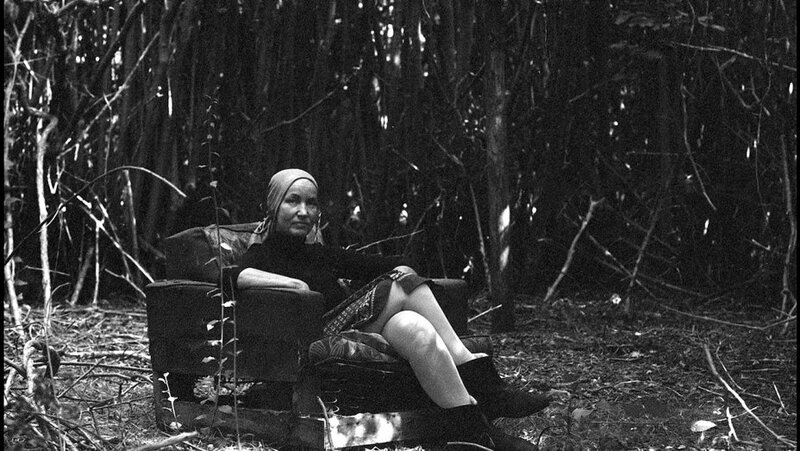 One of the great direct cinema technique documentaries of the past fifty years, Grey Gardens is one of those strangely fascinating fly-on-the-wall portraits of eccentric people trapped in time and space. Crumb, the doco on artist Robert Crumb and his brothers is another that comes to mind. The Maysles brothers documentary about Big Edie and Little Edie holed-up in their decrepit East Hamptons mansion is the stuff of musty legend. 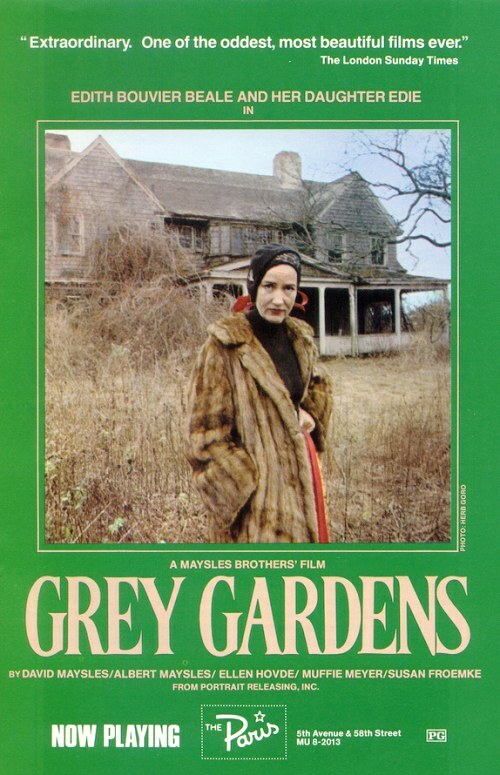 Now, after more than forty years several reels of film have emerged that provide Grey Gardens with a wonderful prequel, a companion piece, just as endlessly watchable, in another documentary, titled That Summer, about what took place a few years earlier, that would lead to the Maysles making Grey Gardens. That Summer begins in 2016 with renowned photographer and collage artist Peter Beard, now an old man, discussing his life's work, as he leafs through one of his elaborate coffee table books. He reminisces about the attempt in 1972 to make a documentary with his close friend Lee Radziwill, the younger sister of Jacqueline Kennedy Onassis, who had spent their childhood amidst the dunes and bramble of Montauk, East Hampton, NY, chiefly at the residence of two socialites Edith Ewing Bouvier Beale (Big Edie) and her daughter Edith Bouvier Beale (Little Edie), the aunt and first cousin of the former US First Lady. Big Edie was in her late 70s, Little Edie in her mid-50s. 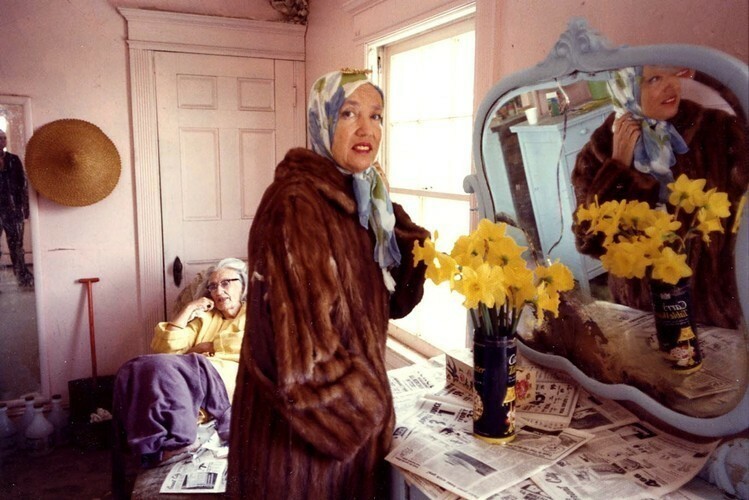 They had been living a reclusive existence in the Grey Gardens estate for decades. By the time Radziwill and Beard arrived, the mansion was infested with fleas, cats and raccoons, had no running water, and with garbage bags piling up in the cellar. It was filthy, and the Healthy Department were called in. But Radziwill and Jackie Onassis stepped in with funds to repair and stabilise the home, enough for the eccentric mother and even more eccentric daughter to continue to live there. When Radziwill and Beard’s intended documentary was shelved, the Maysles brothers, who had been hired to camera operate, were given permission to come back and make their own documentary, focusing directly on the two Edies. That Summer is a broader portrait, bringing into view such luminaries as Andy Warhol, who joined Beard and Radziwill on the vacation, surely one of the very rare occasions of the shy artist outside of Manhattan. Paul Morrisey, the legendary Factory director, is also glimpsed on the beach. But the 16mm footage, just four reels, is as revealing and personal and captivating as the observations in Grey Gardens. Little Edie is such a character, wrapped in her bizarre fashion, a scarf always over her head, as she dances here and there, a lost soul of sorts, once a striking teenage model who paraded the Grey Gardens lawn, who took it upon herself to become caretaker to her mother, burying any hope of romance and adventure. There is an inherent melancholy, a floating sadness, which permeates both films. The mother and daughter seem happy in their domestic routine, the lack of contact with the outside world has somehow shielded them from despair. Big Edie lapses into song, as she was once a gifted singer, with 78s to prove it, whilst Little Edie ruminates in the possibility of returning to the city cabaret scene. They live in a bubble, overgrown with bramble, the furniture riddled with decay. These films are beautiful date stamps, the quality of light, the fashion and decor, the recollections, the memories. Somehow the stranger the people the closer we feel. Like moths drawn to a flame, we can't help but watch these pathetic, tragic figures as they flap and flounder, as they strut and pout. Beard's own diarist inclination, his penchant for collage, is a curious reflection of the haphazard lifestyle of the once glorious Edie duo. Hopefully one day these two exquisite documentaries will be combined in a special edition release, as they compliment each other perfectly. That Summer also highlights Beard's exceptional artistry, which is a good thing too, as I hadn’t been aware of his safari and glamour photography. 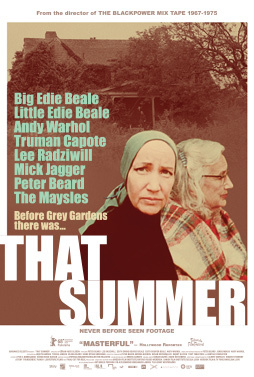 That Summer and Grey Gardens are as essential as iced tea on a hot summer lawn.